As the Result of an Interdisciplinary Collaboration Between the Schools of Experimental Psychology & Biological… – N.E.W.S. 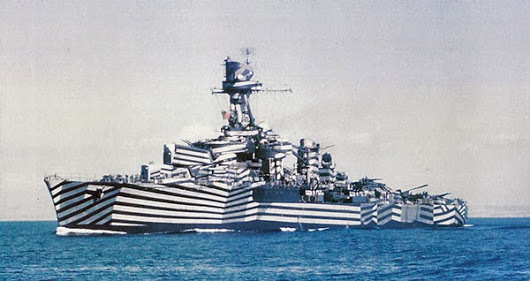 As the Result of an Interdisciplinary Collaboration Between the Schools of Experimental Psychology & Biological Sciences Even the Military Have Used This DAZZLE Camouflage to Disrupt the Enemies’ Perception of a Ships Range During WW1 & WW2. Prior to the Invention of Radar & Stealth Composite Materials . An Example High Contrast Group Camouflage in Action for Juvenile Emperor Snapper out in the Open. The Striped Pajama Squid is Actually a Venomous Cuttlefish that uses its Stripes to Warn & Deter Potential Predators.